The best way of enjoying the fascinating and enchanting beauty of India is by traveling by road in rental cars. Finding a car rental company is not a big deal as there are numerous companies offering their rental car services for tourist purposes. There are many car rental companies, which provide Luxury or Deluxe Taxi Rental in India. It is easy and comfortable practice to hire car in India and enjoy the trip hassle free. The rental car providers provide all sort of information including the assistance to tourists about the beautiful sight seeing places in India. So, if it is your first trip to India than don’t be indecisive to get rental cars. 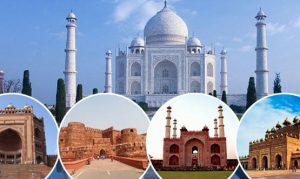 We at touristdriversindia.com offer car rentals so you can witness the dazzling sights of India in a comfortable manner. Our excellent and faithful service is what keeps a step-ahead of other competitors from the beginning itself. So, after getting Hire Car in India from trusted and reliable service provider like us, the travelers can enjoy their trip right from beginning to the destination. We can assist you in having a fabulous trip, across India with our rental cars in most luxurious way. We offer chauffeur driven Luxury or Deluxe Taxi Rental services which take care of safety and enjoyment throughout the trip. Our car rental services include fleet of cars like small and mid sized rental cars, premium rental cars and luxury rental cars. Rajasthan Car Rental with Driver. Agar Car Rental with Driver. Shimla Manali Car Rental with Driver. Nainaital Car Rental with Driver. Haridwar Car Rental with Driver.